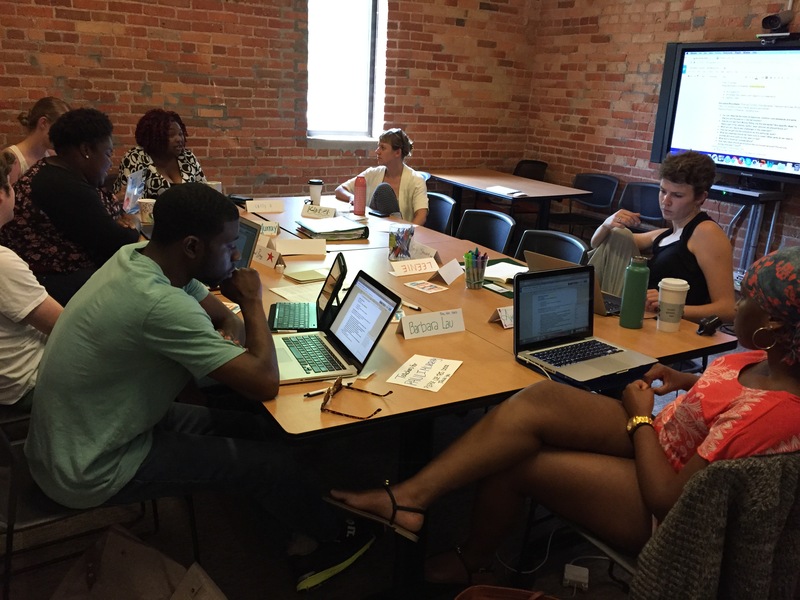 The Pauli Murray Project gathered undergraduate and graduate students from Duke, UNC-Chapel Hill, Brown University, UNC-Greensboro, and AmeriCorp to conduct research that lays the groundwork for educational K-12 curriculum for our new exhibit, Pauli Murray: Imp, Crusader, Dude, Priest. The exhibit opens August 21, 2015 at the Cameron Gallery at The Scrap Exchange in Lakewood Shopping Center, six blocks from Pauli Murray’s childhood home. 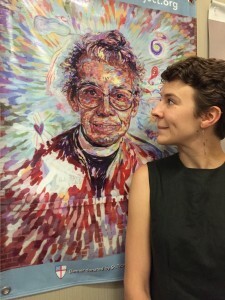 This curriculum will connect students to local and state histories of human rights work and inspire activism in the next generation through Pauli Murray’s compelling life story. During the first two-week intensive, nine students researched state competency standards and worked with local elementary and middle school teachers to test and develop curricular themes. 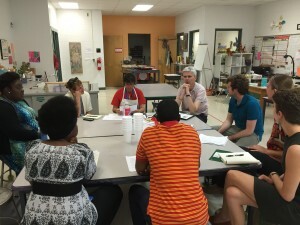 They participated in a workshop about the techniques and practices from the museum education field and they learned how to facilitate focus groups. Then they synthesized what they discovered into a framework for the curriculum and a set of implementation strategies. This research sets the stage for the development of relevant and effective classroom curriculum. It builds relationships through which we can engage teachers from across our community in public, private, and charter schools. 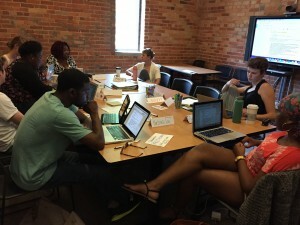 Two Moxie Scholars from the Southern Oral History Program at UNC and graduate students from Brown University and UNC Greensboro will continue developing this curricula over June and July so that will be ready for the August 2015 Exhibit opening. Pauli Murray, 1910-1985, was an accomplished American activist who believed in justice, reconciliation, and freedom. She championed the cause of human rights through her work as an author, educator, lawyer, feminist, poet and priest. As a woman, a person of color, a worker, and a member of the LGBTQ community, Murray refused to see herself restricted by the categories of gender, race, class and sexuality. Instead, she aspired to an integrated body, mind, and spirit that required a holistic sense of self. This lofty aspiration spurred a life of energy and creativity that helped transform American society. If you would like to help install the exhibit at the Scrap Exchange, facilitate student groups, work on educational programming and public events, please contact Barbara Lau at balau@duke.edu for more information! Alexandria Miller is a rising junior from Miami, Florida pursuing degrees History and African and African American Studies (AAAS) and concentrating in Human Rights and Social Movements. Alexandria participated in the DukeImmerse: Freedom Struggles in the 20th Century program and traveled to Cape Town, South Africa, as well as the One Person, One Vote: The Legacy of SNCC and the Fight for Voting Rights Project. Alexandria is interested in oral histories, the digital humanities, and advocating for the rights of minorities with the hopes of pursuing civil rights law. Emily Carrino is a rising Junior at UNC Chapel Hill studying Psychology and Women’s and Gender Studies in pursuit of a career in the mental health field. When she is not in class, she enjoys finding new ways to self empower, including photography and socially motivated performance art. She enjoys exploring her multifaceted identity and influencing women’s collective value through service and activism. She is from Greensboro, NC. Le’Andre Blakeney is a native of Salisbury, NC, and earned his B.A. in History from North Carolina Central University in 2014. Thereafter, he worked at Fort McHenry National Monument and Historic Shrine as a park ranger working in multiple roles, mostly as a tour guide. 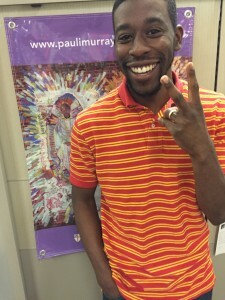 After the three-month stint in Baltimore he came back to the Tar Heel State to become a Public Ally (an Americorps member), where his is in his last months of a ten-month service. His interests include history, politics, philosophy, and theology. Kadejah Murray is a rising junior at the University of North Carolina at Chapel Hill. She is from Fayetteville, NC and is currently double majoring in Women’s and Gender Studies and Sociology. 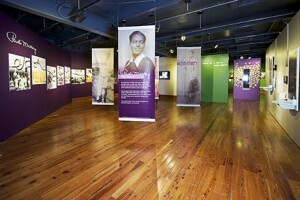 She was introduced to the Pauli Murray Project through her involvement with the Moxie Project. 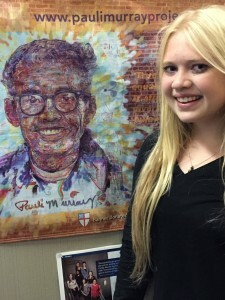 As a Moxie Scholar her goal is to develop her own sense of activism and community engagement. 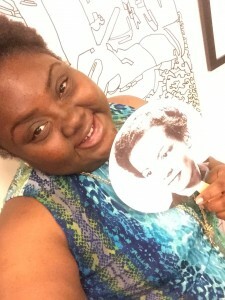 She chose to work with the Pauli Murray Project because she felt an instant connection with Pauli Murray with whom she shares many identities. Carly Bandt is a sophomore at Duke University studying Public Policy and Economics. 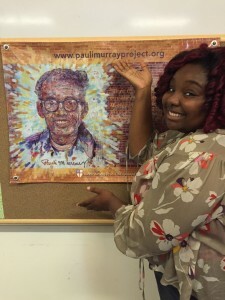 After participating in the “Dive into Durham” Alternative Spring Break, she wanted to continue exploring Durham’s history and culture through ventures such as the Pauli Murray Project. She also serves on the Duke Human Rights Center Student Advisory Board and is particularly interested in education reform and providing access to education for girls in the developing world. Michael Bleggi is a rising junior at Duke pursuing a major in International Comparative Studies and Political Science as well as minor in Economics. His interests include the intersection of business, international law, and human rights, especially in context of interacting cultures and institutions. He is from Southern Pines, North Carolina. 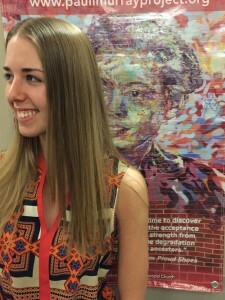 Virginia Thomas is a rising second year PhD student in American Studies at Brown University. Her areas of interest include performance studies, critical race and gender studies, and the U.S. South. She is also pursuing a master’s degree in Public Humanities. She graduated from UNC Chapel Hill in 2012 with a major in American Studies and minor in Women’s Studies. She is from Pittsboro, North Carolina and is living in Durham over the summer. Kimber Heinz is a MA student of Public History and Museum Studies at the University of North Carolina at Greensboro. She is a community organizer, most recently working as the National Organizing Coordinator of the War Resisters League (WRL), based in New York, NY. She has served on the board of the Fort Hood Support Network in Killeen, Texas. She has a Master’s degree in Women’s and Gender Studies from UNC-G and lives in Durham. 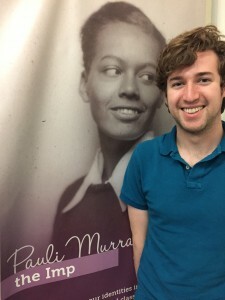 “The question that kept coming to mind for many of us in the group is ‘who gets to be a hero?’ Pauli Murray was a person who struggled in all parts of her life; she struggled for change and for belonging. Her struggle for belonging is what kept her from being widely recognized as a hero because she faced barriers as a Black person, a woman, and a gender nonconforming queer person throughout her life. Her struggle for change at the intersection of all of those identities, adding her intersectional analysis and leadership to social movements for civil rights and feminism through her speaking, writing and legal work, is what made her a visionary, and for those of us working to further her vision of truth-telling and reconciliation, a hero. Indhira Udofia is a rising senior at Duke Divinity School and UNC School of Social Work, enrolled in a dual masters program. 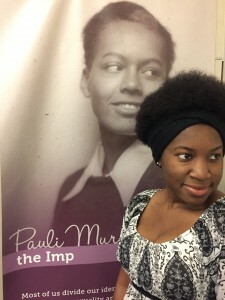 Raised in North Carolina, Indhira serves as a Graduate Assistant at the Pauli Murray Project. 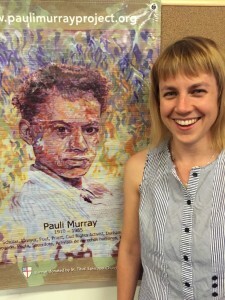 She is excited about continuing to spread the legacy of Pauli Murray within Durham schools.